Home Food Healthy Marijuana Munchie Food? Shortly after toking up, a lot of marijuana users find that there’s one burning question on their minds: “Why am I so hungry?” Researchers have been probing different parts of the brain looking for the root cause of the marijuana munchies for years. Now, a team of neuroscientists report that they have stumbled onto a major clue buried in a cluster of neurons they thought was responsible for making you feel full. This cluster, called the POMC neurons, is in the hypothalamus, a region of the brain that scientists typically associate with base instincts like sexual arousal, alertness and feeding. 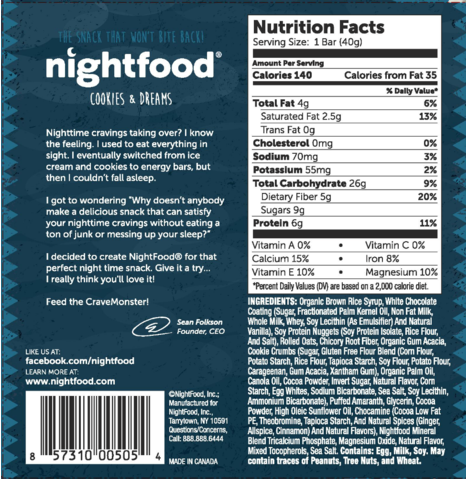 Tamas Horvath, a neuroscientist at the Yale School of Medicine and the team’s leader, says that the POMC neurons normally work by sending out a chemical signal telling the brain, you’re sated, stop eating. Solution? 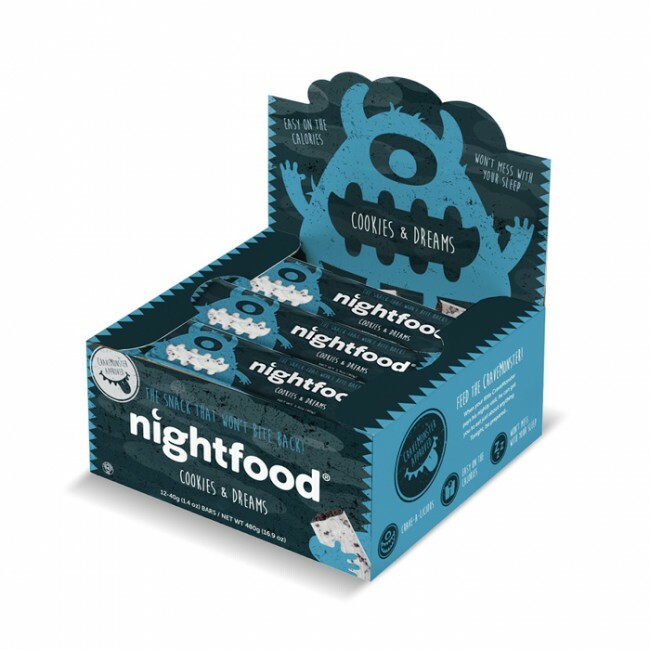 Rather than fighting a fight you can never win, try NightFoods Cookie & Dreams and feed the Crave Monster. Only 140 calories per bar. Now there’s a munchie attack you can survive!